On November 8, 2016, Nevada voters approved Question 2 by a 54% majority. Question 2 was in regards to legalizing marijuana for persons over 21 years of age. Here are a few common questions. Recreational cannabis is now officially legal in the state of Nevada as of July 1, 2017 for people who are 21 years of age and older with valid government issued photo identification. What if I am below the legal age? Anyone younger than 21 years of age cannot purchase recreational cannabis at this time but they may purchase medicinal cannabis if they are medical patients. Those who are 18 years of age and older with a valid medical marijuana card can purchase medicinal cannabis legally in Nevada, even if the card has been issued from another state. Minors below the age of 18 may qualify for a medical card as long as a parent or guardian signs the Minor Release Form and agrees to act as the child's primary caregiver. 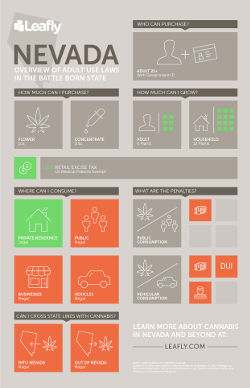 What is required for purchasing recreational cannabis? For first time recreational customers Sierra Wellness requires a valid government issued photo identification. Following your first visit to the store, you will only need to present your ID for any future purchases. Any personal information you provide to us will be held in our company database and will not be accessible or shared outside our company. What is required for purchasing medicinal cannabis? Anyone over 21 years of age can purchase cannabis for medicinal purposes. Medicinal patients need to present an active medical marijuana card or temporary recommendation letter, valid government issued photo identification, and will also be asked to sign a Dispensary Patient Agreement upon first visit. Upon subsequent visits, medicinal patients will only need to present their medicinal card and photo ID to make purchases. Per Nevada state law, the photo ID accompanying your medicinal card or recommendation must be issued from the same state to be valid. Those wishing to become medicinal patients can view the steps to apply for a Nevada medicinal card on our New Patients page and may locate additional information on our medicinal FAQ page. What is considered valid photo identification? Valid government issued photo identification can be an unexpired state issued identification card, driver's license, passport/passport card, or military identification which provides your name, date of birth, and facial photo. International customers may present current valid government issued photo identification from their country of residency as proof of identity. Where can I purchase recreational cannabis? Sierra Wellness offers recreational cannabis inside our Reno and Carson City dispensary locations. Where can I purchase medicinal cannabis? Sierra Wellness continues to support and serve our medical patients as priority clients at both our Reno and Carson City dispensary locations. Priority means that we place our medical patients first both in the waiting line when they arrive and in our company decisions. Reno and Carson provides both medicinal and recreational cannabis at this time. How much cannabis can I purchase at one time? Both medicinal and recreational customers are allowed to purchase up to one ounce of cannabis flower or up to 1/8 of an ounce of concentrate during a single transaction from a dispensary. How often can I make a purchase in the same store? State law limits cannabis purchases to no more than one per hour per store location. After one hour has elapsed a customer can make additional purchases at that time from the same location. 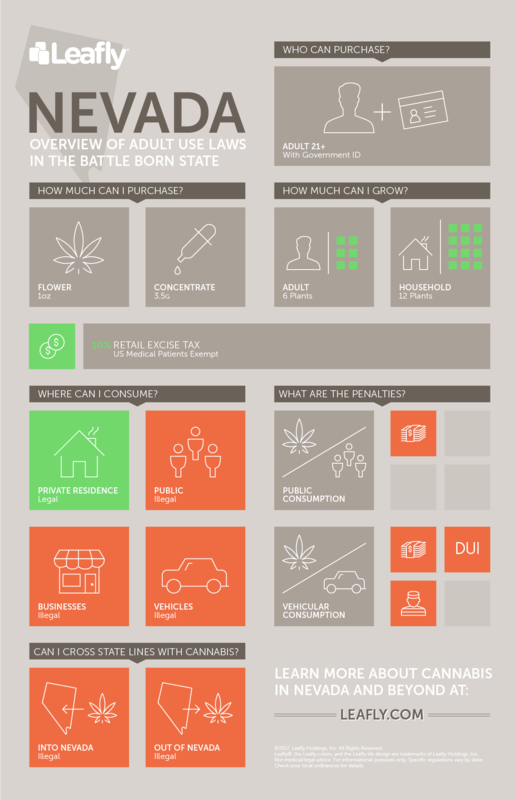 What is the tax rate for my cannabis purchase? All purchases are taxed by Nevada law at the current state sales tax. Cannabis sold to recreational customers is taxed at an additional 10% retail excise rate on the sale price. Products sold to a medicinal patient cardholder are not subject to this additional 10% excise tax. Where can I use my cannabis after purchase? Cannabis consumption by law is for use on private land you own and is illegal in most apartments, hotels, and casinos. It is also illegal to smoke in public, on federal land or in a vehicle without risking a fine. Those caught violating public consumption laws in Nevada will be charged with a misdemeanor which is punishable by up to six months in jail, a fine of up to $1,000 or both. The ruling judge may assign community service in addition to or in lieu of both jail time and fines. How does the point system at Sierra Wellness work? Here at Sierra Wellness, we give our customers 1 point per non-taxed dollar you spend. As an example, if your pre-tax total is $50, you receive 50 points for that purchase. Once you have accumulated points, you can take $5 off a purchase over $25 and use 100 points, $25 off a purchase over $100 with 500 points, or use 1000 points and take $50 off a purchase over $100.